Salesnet is a RightNow Technologies (Nasdaq: RNOW) independent operating unit and provider of cloud CRM software solutions for small and midsize businesses. Founded in 1997, and beginning production operations in 1999, Salesnet was one of the original SaaS CRM pioneers that has since taken an unconventional company evolution. In May 2006, Salesnet was acquired by RightNow Technologies for $9 million in an effort to shore up RightNow's sales force automation offering. However, a waning interest in the B2B market and a steady change in product strategy by RightNow that de-emphasized SFA in favor of customer support and customer experience jettisoned Salesnet in September 2008 to become an independent operating unit—headquartered far from Bozeman, Montana in the Atlanta area. Salesnet was transitioned to a new joint venture to be managed by a prior Salesnet partner, SFA Strategies. The partner turned publisher had been a Salesnet VAR since 2003, and was clearly one of the most credible and largest distribution partners for the former Salesnet. The two year hiatus with RightNow, including the lull of going without a dedicated management team and the absence of a plan in the wake of a poor acquisition, took a toll on growth and customer acquisitions. However, customer support remained steady and Salesnet was successful in maintaining nearly 200 customers, representing about 5000 users, through the transition and is today expanding those customer counts. The current management team is focused on all aspects of growing Salesnet's business, including software development, data center hosting, sales and marketing, and customer support. The new Salesnet is half way through a five year transition plan with RightNow and proceeding along a well managed course to ultimately become independent—and more importantly regain their position in the high growth cloud CRM market. Even today, while claimed by common ownership, Salesnet and RightNow are separate entities with separate CRM applications that are not integrated. Each company stands on its own and targets its slice of the growing CRM software market. 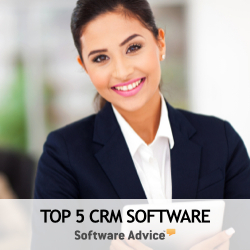 The CRM suite is limited to sales force automation software, marketing software and mobile CRM. Notably, a customer service module is absent. Something a bit surprising considering the parent company has one of the best customer service suites in the CRM software industry. Since the change in management, the new Salesnet continues to stand out for delivering powerful sales force automation software but has also placed new emphasis on an enhanced user interface (UI) and improved user experience. Combined with additional upgrades delivered in the most recent release, such as enhanced analytics, workflow improvements and a revamped Outlook integration, the company is better positioning its solution for more mature sales users and organizations—that is customers who are looking to go deep within sales and marketing as opposed to staying broad across a wider software suite.